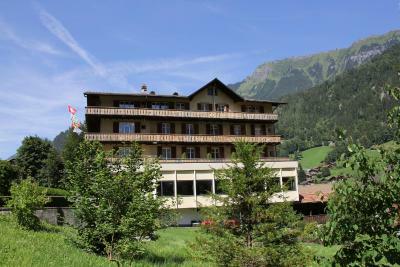 Lock in a great price for Hotel Staubbach – rated 9.1 by recent guests! The location of the hotel is perfect! The staff are all nice and helpful! The room is clean! The breakfast is fantastic! We have young children with us and enjoyed the play place and we really liked that they have picnic room because we brought food for our children. This hotel is worth the price! 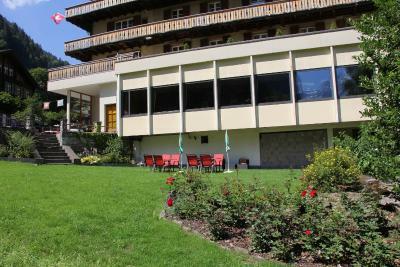 Excellent location with amazing views. All interaction with staff was enjoyable and all were very helpful. Breakfast was very good as well! Nice view at the balcony you will see waterfall. 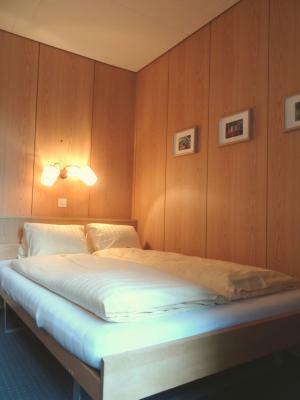 Room is very clean, although it is not new, it is still very comfortable. This town is quiet and beautiful. 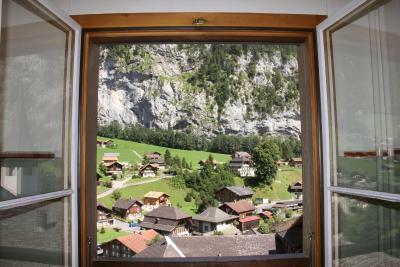 Incredible views from guest rooms/balconies and the breakfast room. Incredibly friendly and helpful staff really made it special. Flat-ish 5 minute walk from the train station. The property is well located about 10 minutes from the train station. The breakfast buffet was very good and the staff were excellent. The hotel is spotless. Staff was amazing. Angie, the manager was awesome and we felt like family there! 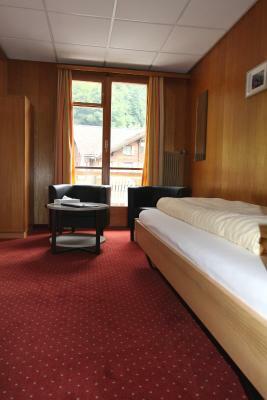 Room was exceptionally big very good value for price including breakfast and great location to lifts. Hospitality wonderful! They pointed us in the right directions and helped us plan the perfect stay. Staff was very accommodating especially in setting up the bed for one in our party who has physical difficulties. Breakfast was excellent. Setting is gogeous. Staff was very helpful in planning activities. Great stay. Loved the picnic room. The room was great with balcony looking at the falls. Breakfast was tasty and breakfast staff was super friendly and helpful. Nice to have coffee/tea in break room and also had a “ picnic room” that had microwave and dishes you could use. Also had an elevator. 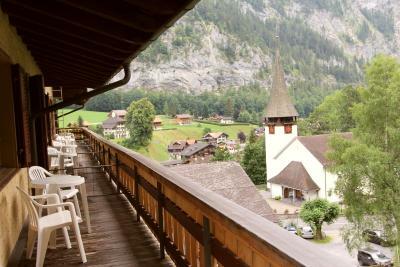 One of the first hotels in Lauterbrunnen, the family-run Hotel Staubbach offers panoramic views of the Staubbach Falls and Lauterbrunnen Valley. 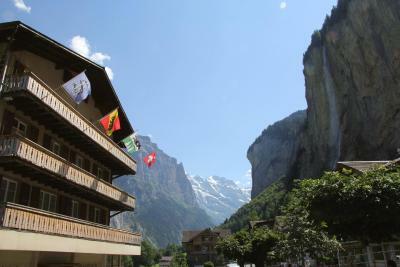 It is located less than half a mile from the Lauterbrunnen station and offers free parking and free Wi-Fi. 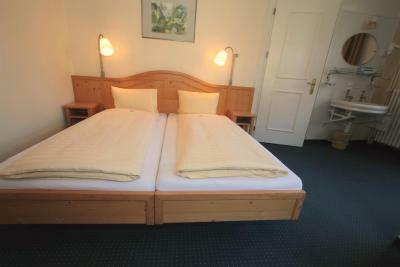 Hotel Staubbach provides simply furnished rooms with private or shared bathrooms. On the ground floor you can find a TV, internet computers and a phone. Wine, beer and soft drinks are sold at the front desk. 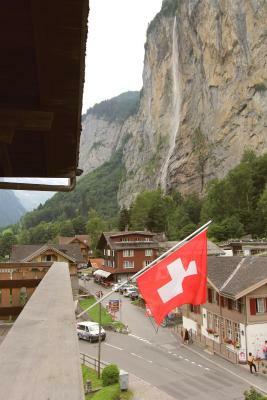 In the surroundings you can find many hiking paths leading to the 72 waterfalls in the area. Restaurants and shops are a 15 minute walk away. 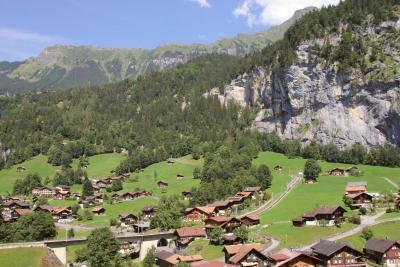 The Jungfrau Ski region includes the resorts of Mürren Schilthorn, Wengen, Kleine Scheidegg-Männlichen and Grindelwald First. It offers 132 miles of well-groomed ski slopes. 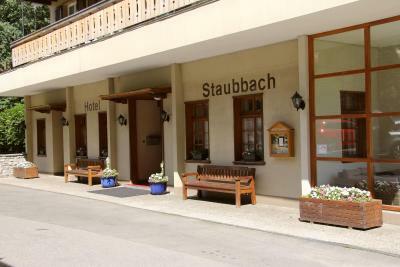 When would you like to stay at Hotel Staubbach? With private bathroom and mountain views. 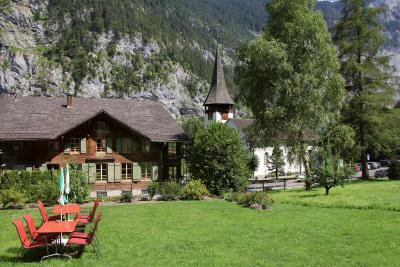 Views of the valley and waterfall are offered from the public balcony across the hall. 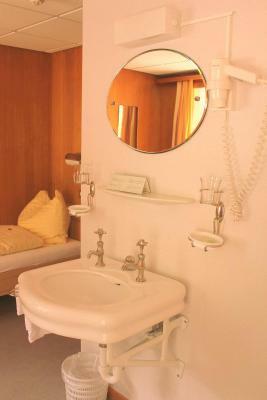 Room with a washbasin. 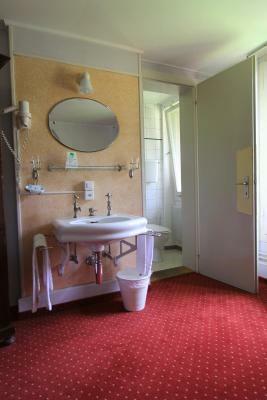 The shared bathroom facilities are located in the hallway. This room is located in the attic, with a low ceiling and accessible only by a small stairway. Please note that maximum occupancy is 2 people. 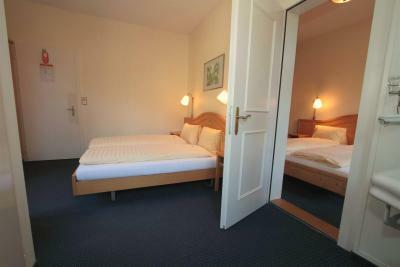 No extra beds, cots or people in existing beds are possible in this room type. 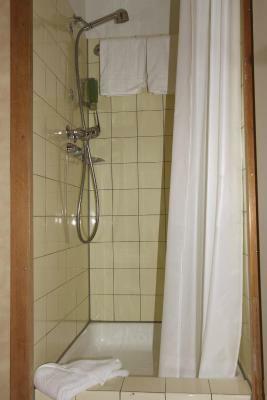 Two interconnected double rooms, one of which contains the bathroom, the other room has a sink. 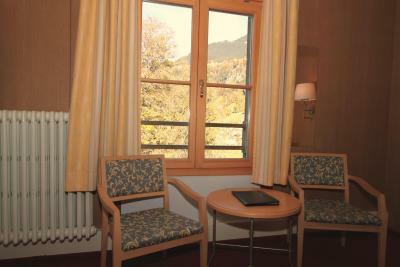 The rooms provide mountain views. 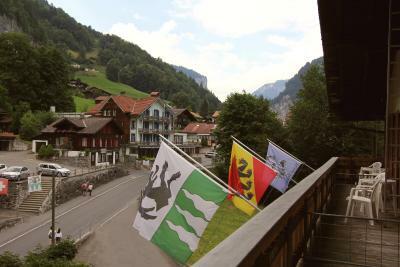 Views of the valley and waterfall are offered from the public balcony across the hall. 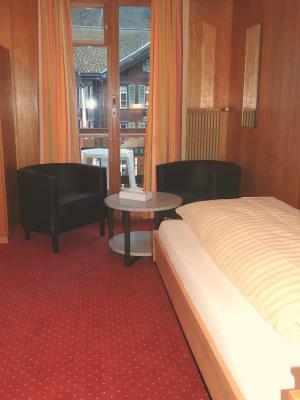 This room has a balcony with a partial view of the valley and a nice view of the waterfall. It faces the street, however it does not have a lot of traffic and is quiet after 7 pm. This room features a private bathroom and a balcony with unobstructed 180° panoramic views of the valley and the waterfall. 2 interconnected rooms with balcony, one of which contains the bathroom, the other has a washbasin. Both rooms have panoramic valley and waterfall views. Please note that maximum occupancy is 4 guests. 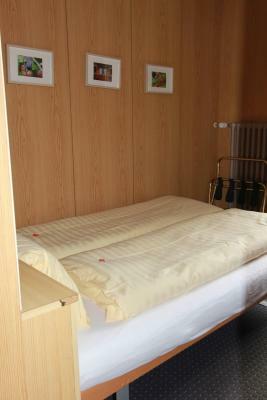 No extra beds, cots or additional people in existing beds are possible in this room type. 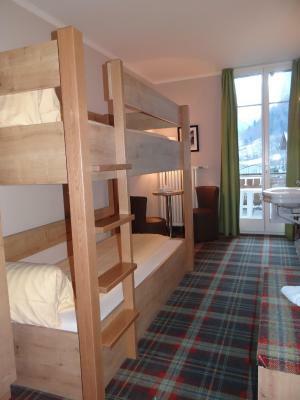 Room with scenic mountain views and private bathroom. 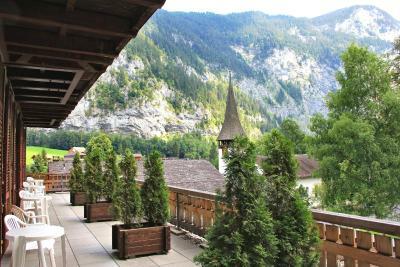 Views of the valley and waterfall are available from the public balcony across the hall. 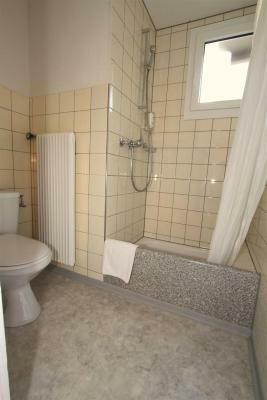 Features a private bathroom and mountain views, without balcony. 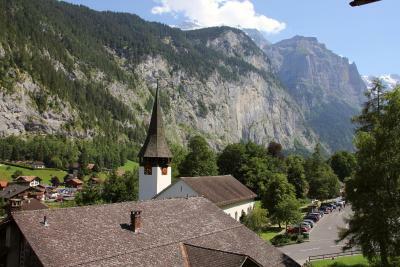 Views of the valley and waterfall are offered from the public balcony across the hall. This room features a private bathroom and a balcony with panoramic valley and waterfall views. This room is smaller with only 1 chair and a small table. 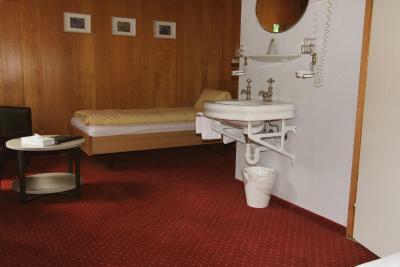 No extra beds, cribs or people in existing beds are available in this room type. 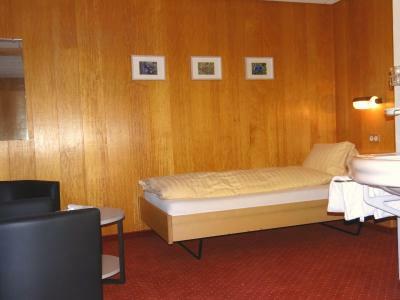 Includes a double room connected to a single room and a private bathroom located between the rooms. 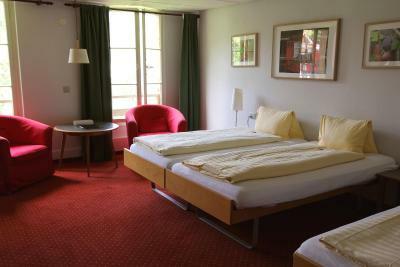 Both rooms have a balcony with panoramic views of the waterfall and the valley. 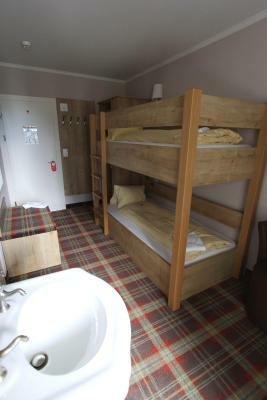 Room with a private bathroom that includes two separate beds and a balcony with a partial view of the valley and a nice view of the waterfall. It faces the street, but there is not a lot of traffic and it is quiet after 7 pm. 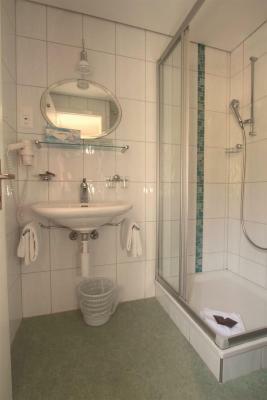 Small room with a sink, a shared bathroom across the hall, panoramic valley and waterfall view, and a balcony. 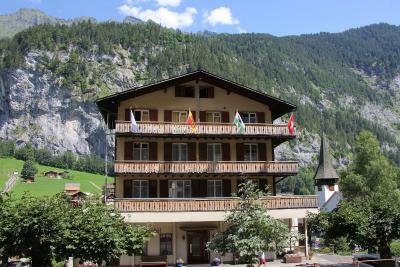 House Rules Hotel Staubbach takes special requests – add in the next step! 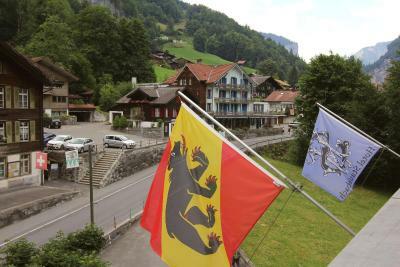 Hotel Staubbach accepts these cards and reserves the right to temporarily hold an amount prior to arrival. 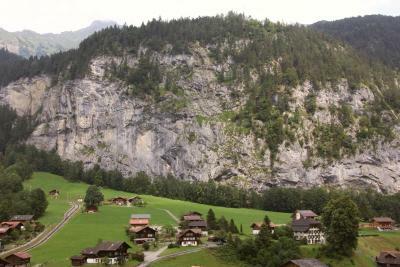 - walk the main street uphill, continuing in the direction you have come by train, towards the Staubbach Waterfall. 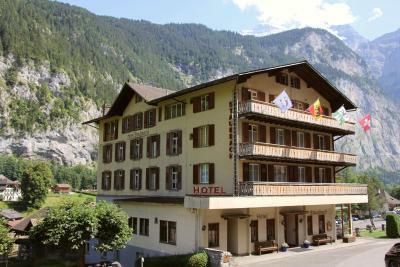 You can also take the bus to the hotel (direction Stechelberg), which stops opposite the train station. Get off at the first stop and proceed for a few minutes on foot. 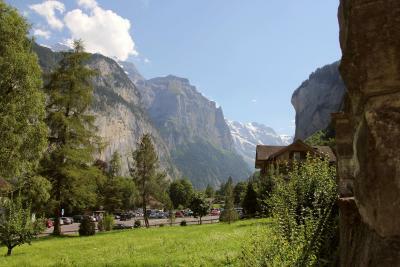 There are no taxis in Lauterbrunnen, but you can order a taxi in advance from Garage Gertsch in the next village. Great location, perfect base to explore the area -- friendly and helpful staff. 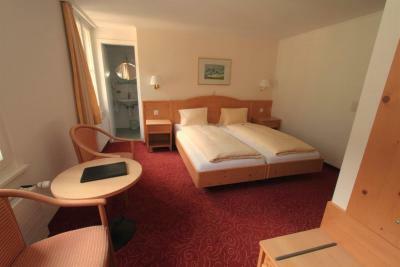 Clean rooms with view of waterfall. Would definitely stay here again!! 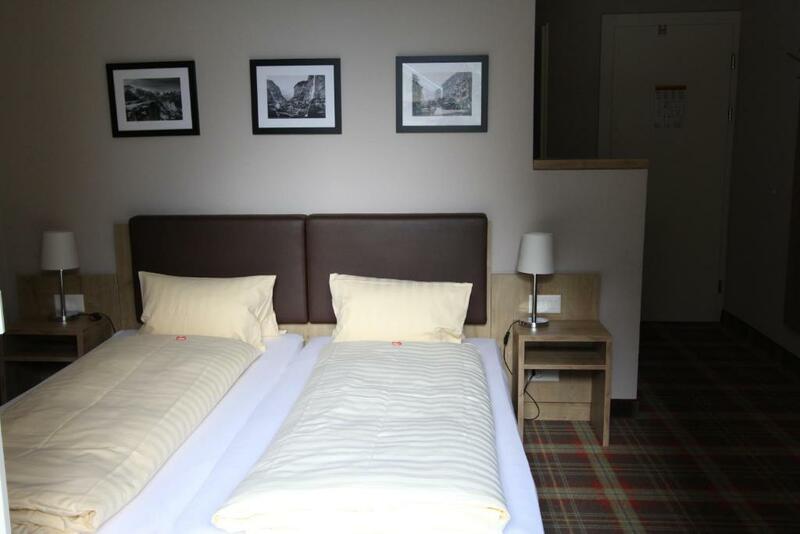 Great location, less than 10 minutes walk from train station. Very friendly and helpful staff, always offering advice/help, even during breakfast (which was also very good!). It has a small playground and also a picnic room with some facilities (microwave, tables, dishes, etc), which is extremely valuable when traveling with a baby. The location is not good enough, far from train station. Although it is just 700m walk, it will make you feel frustrated.. It is not flat road but up up up and down. When you are carrying a big luggage, trust me you wont like the location of the hotel. This is the only dislike. Helpful staff with all things you might need thought of. A very informative booklet of things to do as well as some local history. The building was built 100 over years ago and hence, the furnishings can be dated. There is also a stench from fertiliser (possibly from a nearby ranch). The staff was very warm and there is a kitchen in the hotel which allows you to cook your own food. The place is well maintained despite the age of the place. The location is excellent! 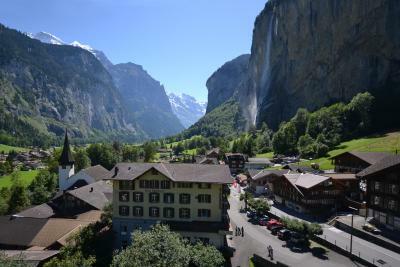 Rooms facing the valley have a great view of a waterfall. The staff was the BEST. They helped even when we weren't asking for it. And price was ok considering we arrived on Saturday before Easter and we didn't have a reservation. Truly recommended. The town is very sleepy and there is no tv in the room. The property is old and rustic but holds the character beautifully. Staff couldn’t be more friendly and helpful, very welcoming people. After a day at the mountains what was such a lovely gesture was the coffee room. From morning to 10pm the room was open to help yourself to tea and coffee. It sounds such a small point to make but in our travels we are finding less and less hotels offering a cuppa in our room, so this was a big tick for this property.